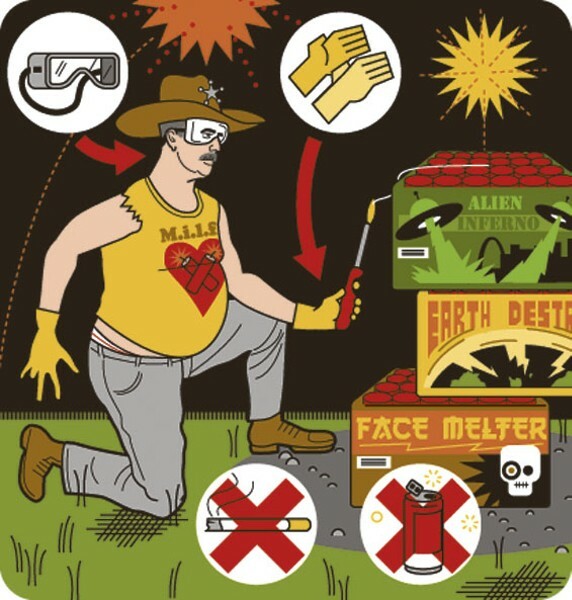 While 500-gram cakes may pack a lot more punch than their predecessors, Greg Carrell, Missouri's assistant state fire marshal, notes that these modern-day fireworks are arguably safer than their earlier counterparts. That's because the cake-style fireworks require just one fuse to ignite, instead of having to light off multiple separate firecrackers for a similar effect. "If you plan to set off fireworks this summer, you need a designated shooter," warns Carrell. "Everyone else can lounge back in a lawn chair drinking beer and enjoying the show. But the person in charge of the explosives should not touch a drop till it's over." Federal law protects the right of American citizens to buy consumer fireworks, but states, counties and municipalities get the final say on whether or not these fireworks can be sold or set off within their boundaries. Missouri permits all consumer fireworks to be sold year-round and to be set off from June 20 to July 10, and from December 20 to January 2. All fireworks are banned year-round, however, in St. Louis City and St. Louis County. Illinois bans all fireworks except for snakes, smoke bombs and sparklers. Always check with your local fire department to get the final word on your municipality's rules on fireworks.